zach_holbrook wrote: Happy New Year all! I had a wild December but will have an indoors- and IceBlink-oriented January. Looking forward to hearing more of your ongoing IB work, Zach! 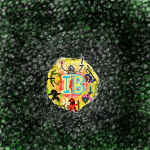 It is great fun to hear your progress as you find time to work on IB. This year I will be focusing on IBx which will bring IB (and all of Karl's wonderful work on IB) to MacOS and iOS/Android tablets (and phones, but may not look good on them). IBbasic is mostly complete and will be moving into a maintenance mode now. That's great news! I'm hoping to get my game done this year. Level 6 already - that's great progress there. The Wine Cellars are already cleared then and the Hunter will score some nice crits for sure (iirc). My current game to relax is AC Odyssey (with all hud and map indicators off as far as possible, no scouting via Ikaros the eagle). It's great fun to explore the magnificient recreation of ancient, mythical greece at a slow pace, taking in the gorgeous sights and the myriad of unbelievable details. We are in the process of selling our home so very little coding time here. I have found a little bit of time to play some Bard's Tale with my daughter, but not much. Lots of cleaning, organizing, and staging. That sounds busy indeed. Keeping fingers crossed for you here . Thanks everyone for the encouragement. We got lots done on the house this weekend. Tonight, I some more of Hearkenwold. Most everyone is level 3 now. I came across some goblin hunters that I hadn't seen in previous versions Recently, I started up a few new plays of some old games (IWD2, NWN2, DA:O, and BT) just to see how IB holds up to them. It is interesting how IB seems to hold up well. It may not have fancy graphics (by design of course), but the game play and flow of Hearkenwold holds my interest and attention as well as any of those old games (maybe even more fun). Oh, and welcome to the forums BillGen! That's something I felt with great joy and a little surprise, too: despite all the technical limitations, the fun factor of the IB modules is very high. Now this is primarily due to our authors' talents in game design, campaign and world building, story telling and making/composition of the assets, which I am really fond of. Still, this also shows that IB as a means to tell the stories of these adventures really works well - and will only get better in the years to come . Those pesky goblins are multiplying! Great to hear of your progress, slowdive. No progress here... Actually the laptop is put away as our house is in full staging mode this weekend. Lots of scheduled views this weekend. So I kinda lost my job and I'm now in my new job and back in the UK. It's been a weird six months. Downside is that I barely turn my pc on at the minute. In the last six months I've completed a run through of the (admittedly awesome) NWN mod the Aielund Saga - but that's about it. On the other hand, I now have a 3hr/day commute - so I've got plenty of tine to play around with IBMini I've been trying to pull something together on it between reading new job papers etc. Hopefully something decent will come of it - it's a pretty awesome bit of kit. Anyway just checking in given the long absence.